I'm a little late to this party -- but Bonefish Grill has an awesome gluten free menu! 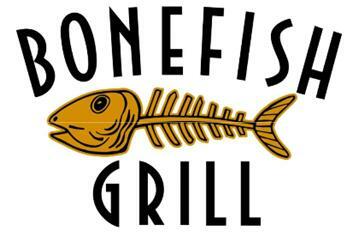 I visited a Bonefish Grill tonight after seeing X-Men: First Class with my dad. As far as chain restaurants go, it seemed like a healthy option if you stick to grilled fish and a light sauce. Each entrée comes with a seasonal vegetable and your choice of side. I went for the grilled salmon with garlic whipped potatoes and mango salsa. It was great! Best of all, the gluten free menu is extensive and includes a dessert option. You can download the entire menu here on the right-hand side of the page.